Paul Vahle Gmbh & Co. KG, global supplier of individual energy and data transmission systems for mobile industrial applications, hosted its International Sales Meeting on October 30th to 31st in Kamen. 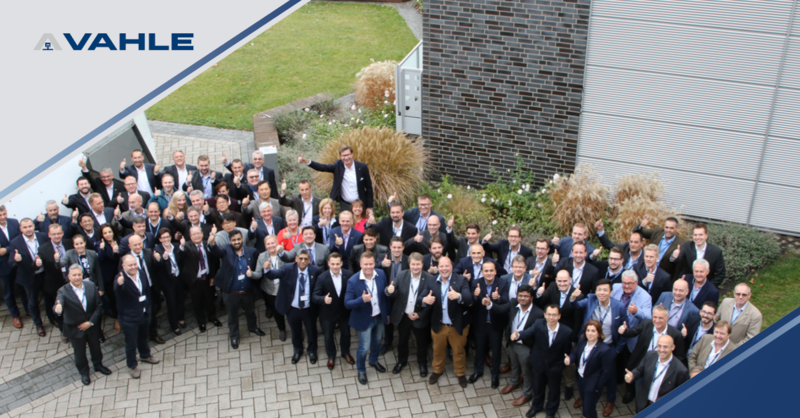 New people and new product introductions were made – nearly 100 people from 31 countries, VAHLE veterans and new team members – met, shared ideas and strengthened the relationships. Mr. Dries, Managing Director and CEO of the VAHLE Group, used a quote from Klaus Schwab to remind all participants that VAHLE needs to be prepared for an agile and fast changing environment. “In the new world, it is not the big fish which eats the small fish, it´s the fast fish which eats the slow fish”. It was an exciting time for everyone at VAHLEs International Sales Meeting. While the best subsidiaries and agencies were honored as it is custom, Mr. Dries took the chance to thank two agencies for their long-standing partnership with VAHLE: “Powerail Ltd.” for 50 years and “Kran EL AB” for 40 years. The VAHLE Group wants to thank everybody who attended the ISM 2018. Thank you for your passion, opinion and active contribution and for developing VAHLEs future.